If you don’t consider yourself to be a jazz musician, or even have ambitions to become one, jazz is still a great style to study. There are many things jazz can bring to your acoustic guitar playing, even if you never intend to play the style itself. Although in my experience, most guitar players I have met and played with would love to be able to play some jazz, and many do. Today I want to show you an easy way to create what is one of the most recognisable sounds in Jazz, a walking bass line. While a walking bass line is typically played on the bass, they are also great to play on the guitar too. In fact, I am not only going to show you how to play a walking bass line, but also how to include chords with it, so you can play both the bass and chord progression at the same time on one guitar! You are going to love this sound! 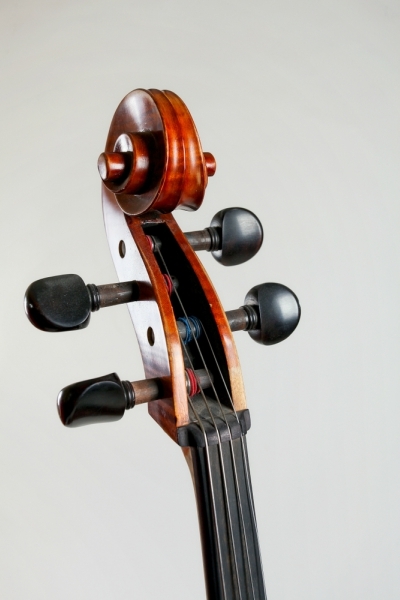 However not only is it a great sound, but walking bass lines will also improve your awareness of the notes in a chord, as well as the chords in a progression. This will improve the quality of your soloing, allowing you to make much more melodic choices regarding the notes you choose to play. Walking bass lines can also be applied to other styles of music such as blues and rock to jazz things up a bit. Everybody loves hearing a walking bass, even if they don’t know what a walking bass is! They just recognise the sound and love what it brings to a tune. So let me show you how to get started creating a walking bass line on your guitar, while at the same time playing a chord progression! The purpose of a walking bass line is to create a feeling of forward motion in a song, hence the name walking bass. It drives a song forward in a step by step fashion. To create this forward moving motion, walking bass lines are typically played using quarter notes that fall on the beat (1, 2, 3, 4 etc). To look at all 3 approaches is too big of a subject for a single article, however I will show you in detail, how to easily create walking bass lines on your guitar, including playing the chords of the progression too, using the chromatic approach. This is known as a II V I (2, 5, 1) chord progression and is the most common chord progression in the world of jazz. Before I show you how to walk a bass line on your guitar through this progression, let’s look at the specific chord voicing’s you will use to play it, and include with your walking bass. This is a very efficient way to play an Am7 as there are no duplicate notes in this particular voicing of the chord. It is used a lot in jazz and works well when playing a walking bass line around it, as you will see shortly. This is a common chord in the styles of blues, funk, and jazz. 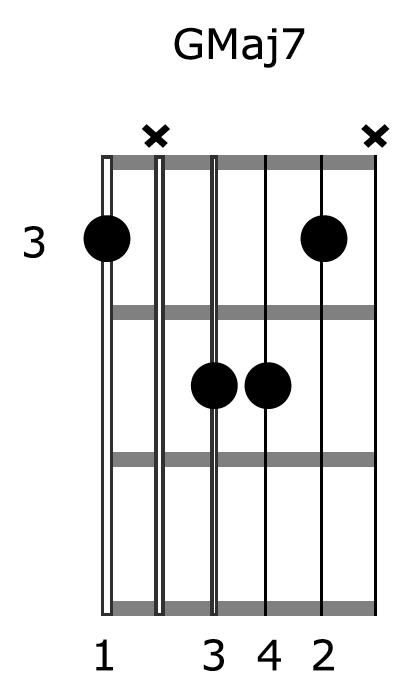 Dominant 9 chords have a great sound. The transition from the Am7 shape above into this one is very smooth, as both chords share several common notes. This is a common way to play a Major 7th chord in jazz, and is also a very efficient way to play this chord as there are no duplicate notes. 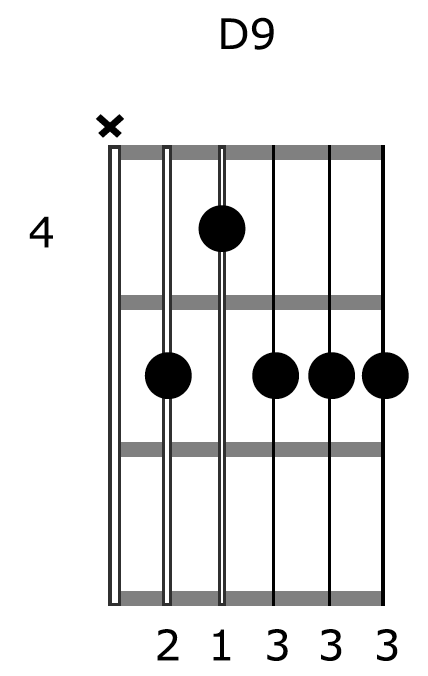 Even if the chord shapes above are unfamiliar to you, they should be easy to find on the fretboard as they are root 5 and 6 chord forms. If you can find bar chords on your guitar, you won’t have a problem finding these chords. With the root notes extracted you now have the basic framework from which to create the walking bass line. 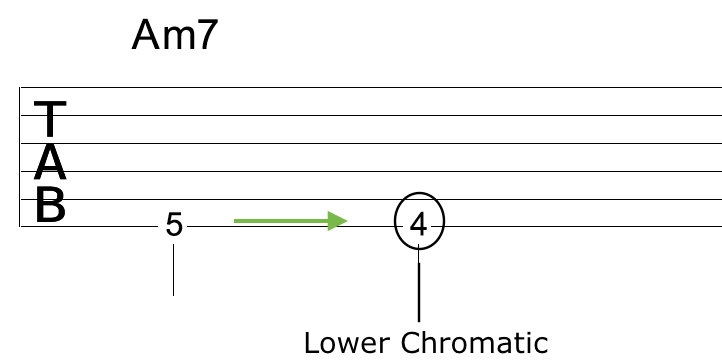 As I said earlier, we will focus on the chromatic half step approach for constructing the walking bass line in today’s lesson. - Beat 1: Play the root of the current chord. 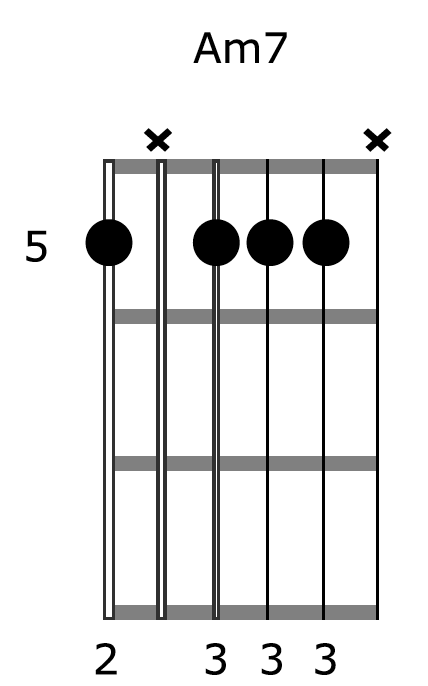 - Beat 2: Play one half step (one fret) above or below the root note. - Beat 3: Play the root of the chord. 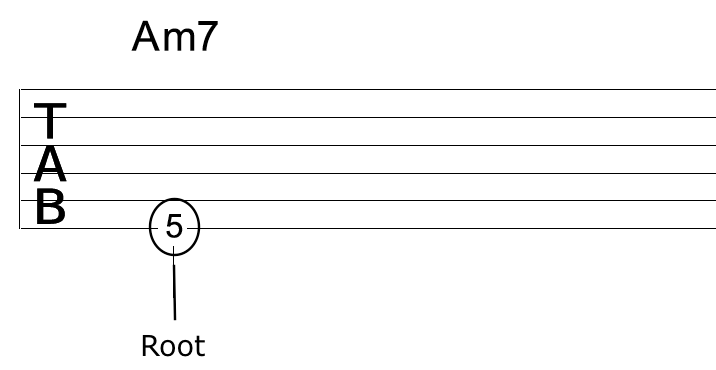 - Beat 4: Play one half step (one fret) above or below the root note of the next chord. It’s important that you realise what the next chord is, as the note you play on the 4th beat of the bar before a chord change, or any other beat before a chord change for that matter, relates to the chord you are changing to, not the chord you are currently on. Just like when you are actually physically walking, with a walking bass line you need to be looking ahead to see where you are going. Because the duration of the GMaj7 chord is 2 bars, there is more space/beats to fill with the walking bass line. To help fill this out I elected to target the 5th of this chord as well which is the D note on the 5th string/5th fret. This helps extend the line out without continually returning to the root note. When you learn to use the scale and arpeggio approaches to building a walking bass line, you will have more options in situations like these. This has the chord sounding in-between the notes of our walking bass line, just like a guitarist would typically do when comping chords along with the bass in jazz.